If you would like to speak to one of our experienced designers and receive a free quote, call us at 203-792-4091 and get your order started! Does your company need a new way to promote your services? Consider designing a custom vehicle wrap for your truck, box truck, car, or trailer. 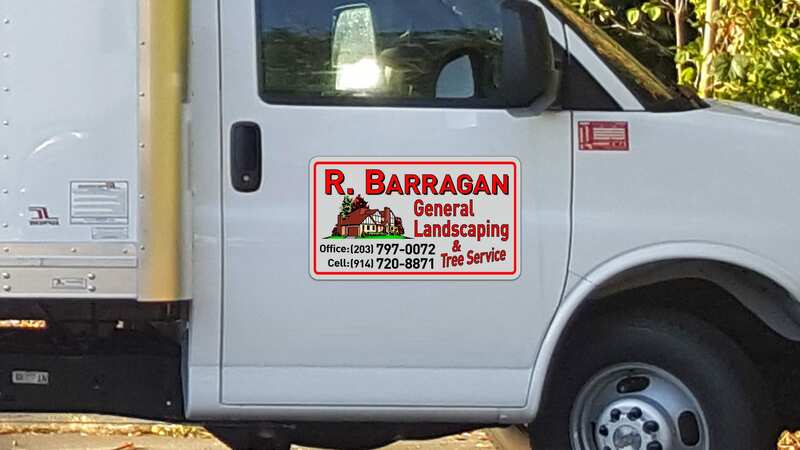 We can design them for one vehicle or multiple trucks, making sure your name can be seen by all. Car wraps are an excellent way to promote your business while traveling. 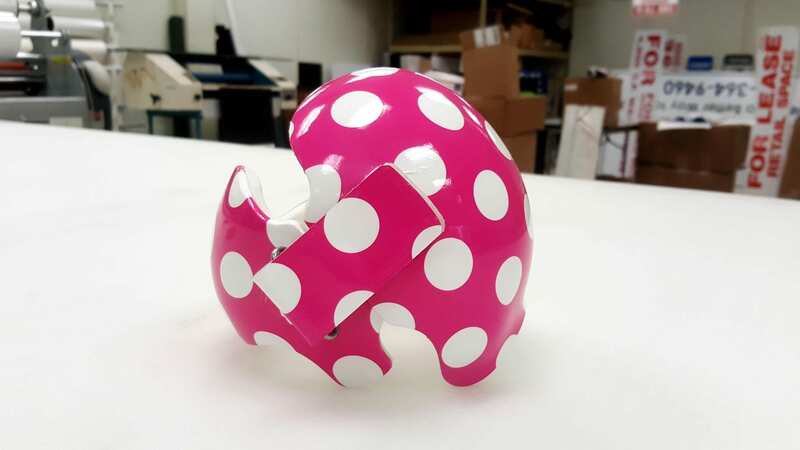 We offer our customers a variety of fonts, colors, styles, graphics, and prints that come in partial, full, color changing, fluorescent, and reflective vinyl. 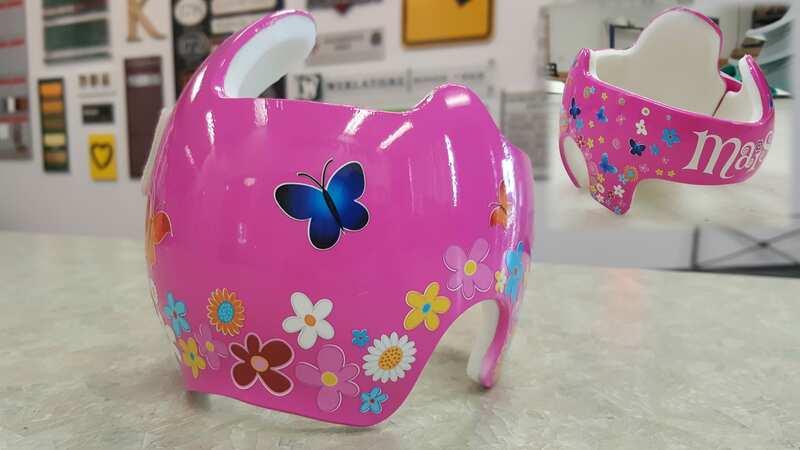 Our creative team of designers can help you create something unique for your car! Reach more customers, not only in the area, but wherever your travel with our box truck wraps and lettering. These wraps are available in a few options: full wraps, partial wraps, color changing, fluorescent, and reflective vinyl wraps. You can completely customize the design, choosing its fonts, colors, style, and size. 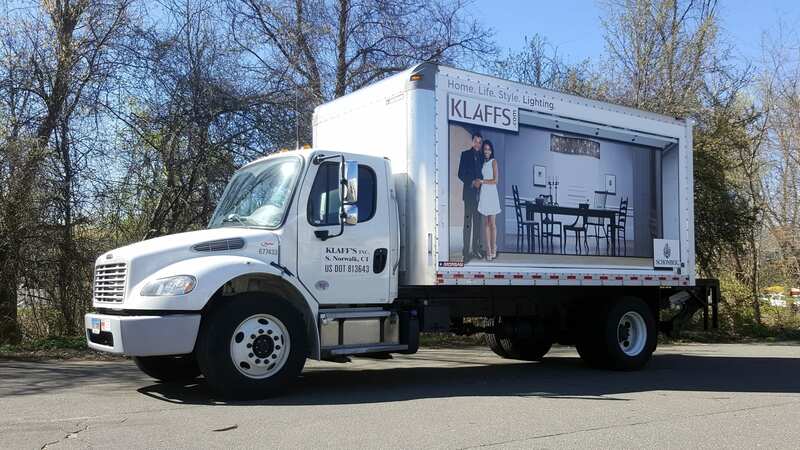 Consider the benefits of adding a custom trailer wrap for your company trailer. This source of advertising can attract new customers at a very affordable cost. We have a great team of designers who are here to help get you started and later install your mobile advertisement. 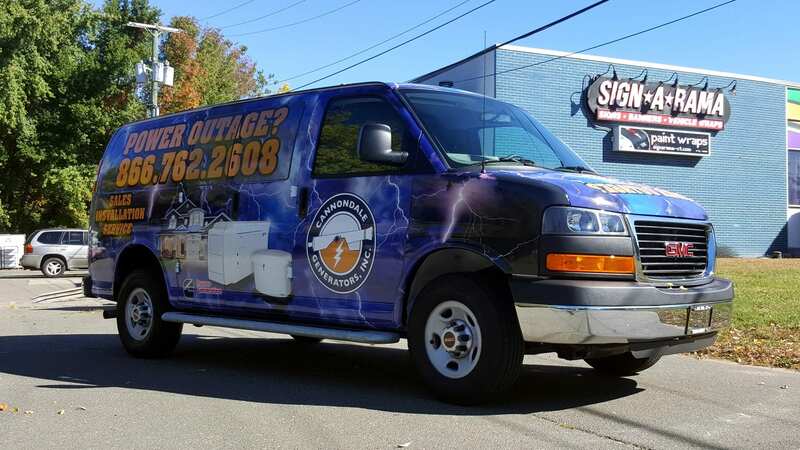 If you find yourself in need of a new truck wrap, give our designers a call. 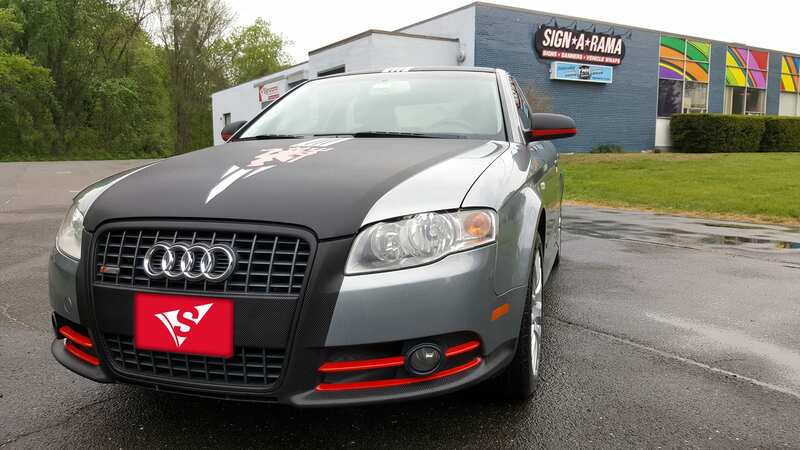 We offer full wraps, partial wraps, color changing, fluorescent, and reflective vinyl wraps. Turn your trucks into a massive advertisement and gain new customers anytime you hit the road in Woodbridge or anywhere you travel. If you have any upcoming events check out our many promotional sign options. We are happy to provide our customers with high-quality products at affordable prices. Our service list is long enough to fit your needs, whether you need a stack of posters or a magnet wrap for your car! 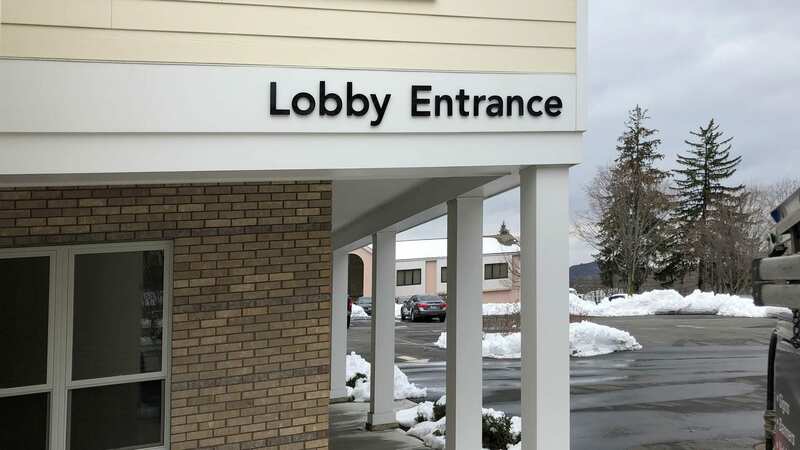 Coroplast signs are suited for both indoor and short-term outdoor use, and are a great option for those in need of a lightweight and affordable sign. They can be used for informational purposes or menu boards, and can be completely customized for your business. 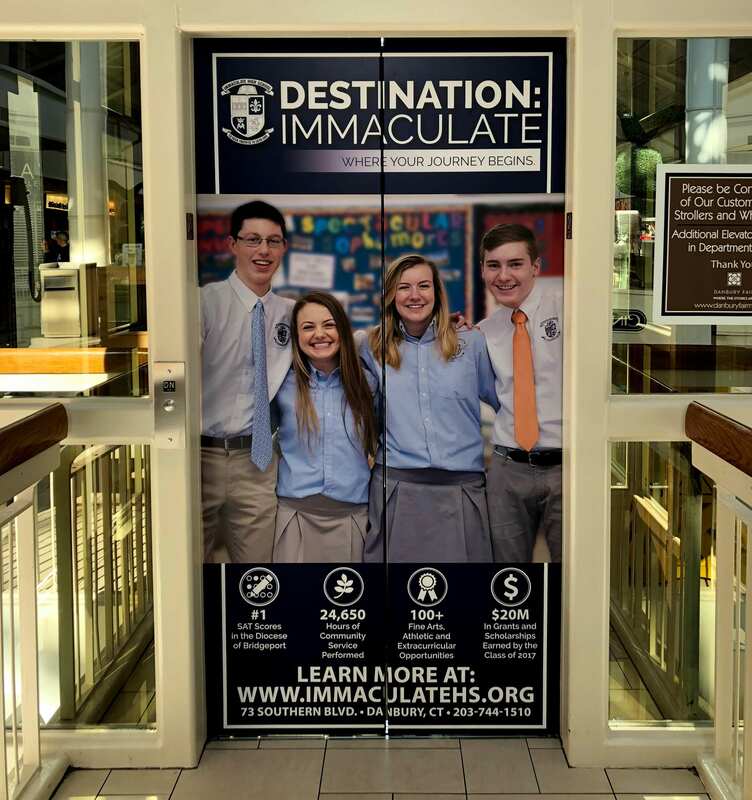 Magnet wraps can be used on vehicles and other flat surfaces, making them ideal when looking for a temporary promotional option. A lightweight, portable, and affordable sign option is our posters and banners. 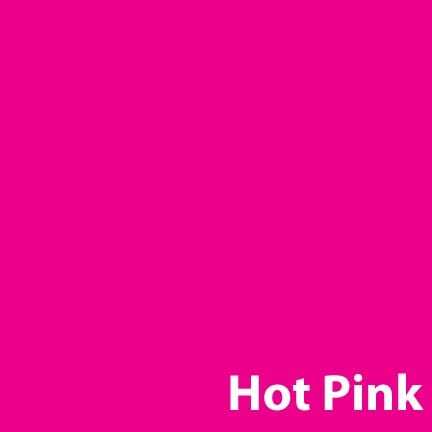 Choose from a variety of sizes, colors, styles, materials and much more for your business! 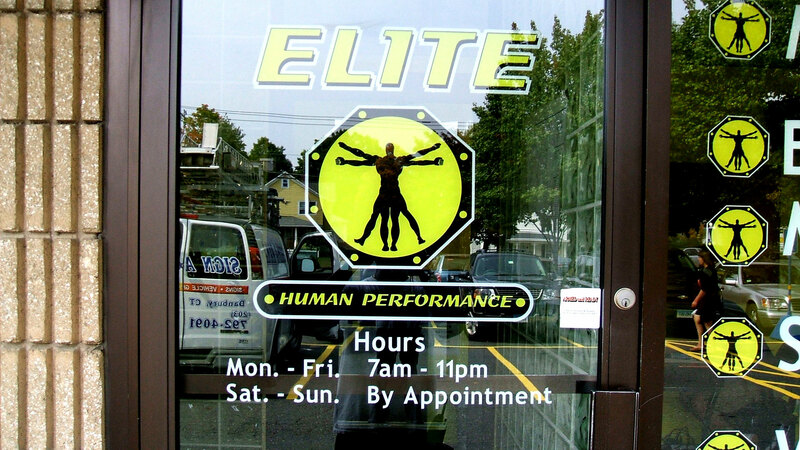 Get noticed by everyone passing by your business with a professional exterior sign. 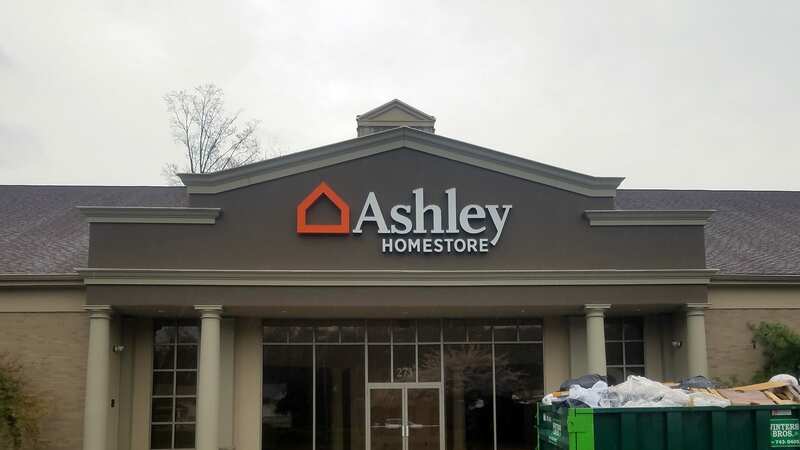 Whether you need something new for your real-estate business, or are looking for a storefront sign to hang outside your building, our team can help! 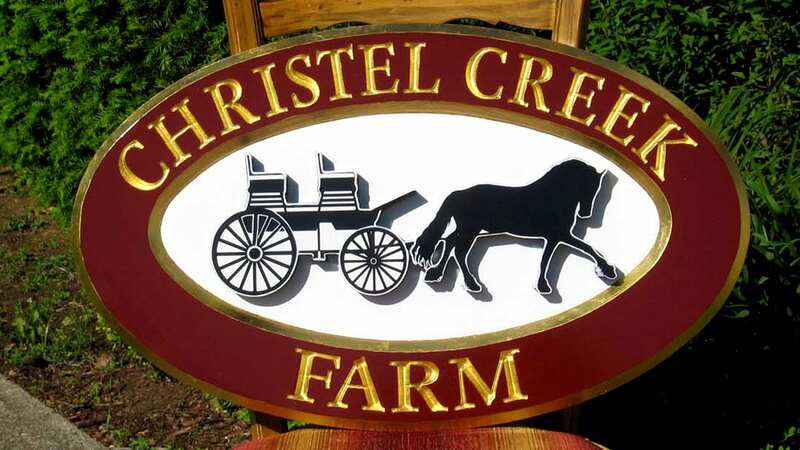 Carved signs are great for any location or business, they are made from laminated redwood or cedar and are a great exterior signage option. 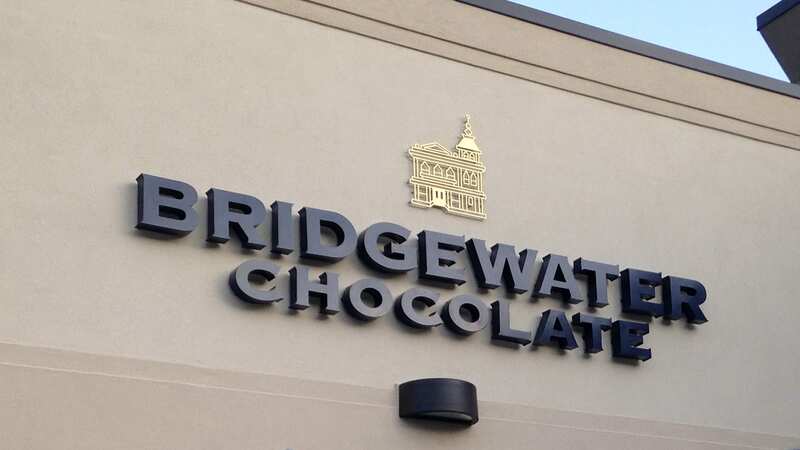 Our dimensional letters allow illumination, making this style a top choice for many businesses. Choose from either metal or plastic for your channel letter sign and let those passing by find you no matter what time of day it is. Help your customers find their way with one of our informative directory signs. 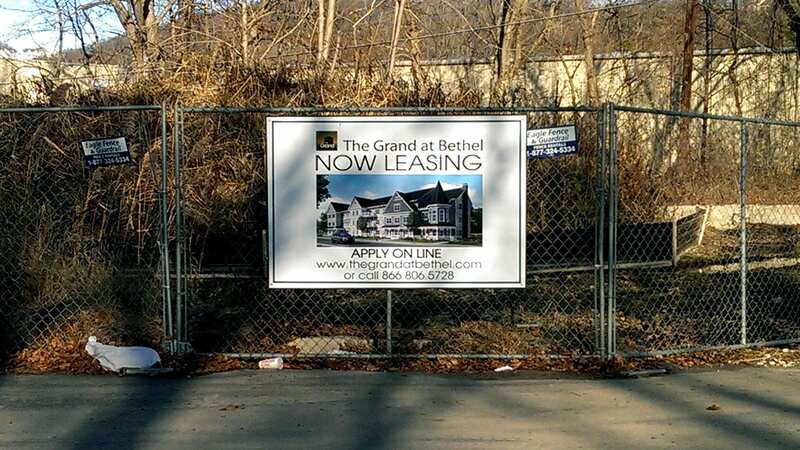 Durable for outdoor installation, these signs are great for plazas and parking lots. Our custom hanging signs can be suspended or mounted on any Woodbridge business. We offer them in aluminum, acrylic, and PVC among other materials. Consider designing a lighted cabinet for your business. These clear paneled signs will illuminate throughout the night using LED or fluorescent backlights. Great for informational purposes, plaza directions, or site identification, our monument signs are a top choice for many clients. We can even match the buildings color or texture. 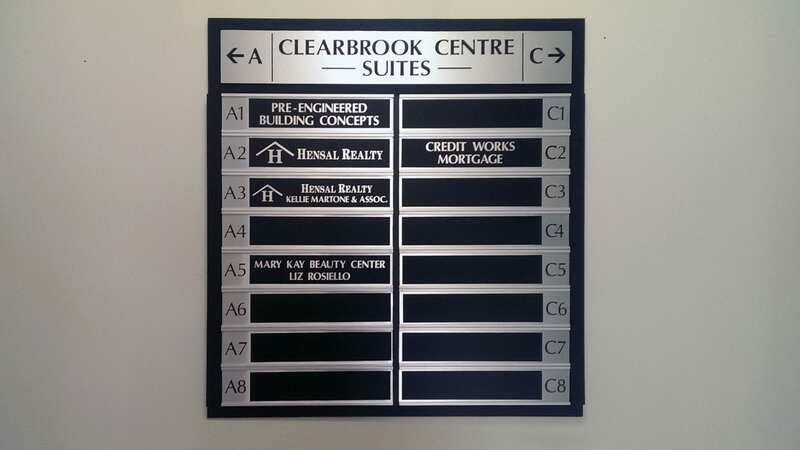 Post and panel signs can be made out of aluminum, foam core, or LED panels. 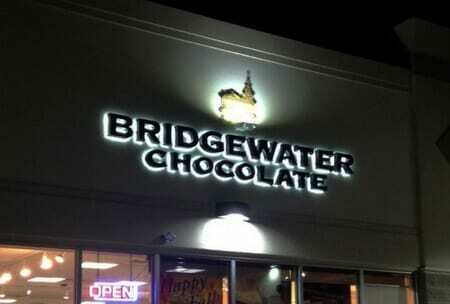 We can also add illumination to them so your customers can find you throughout the night. Showcase a new listing or an open house with our quality real-estate signs. 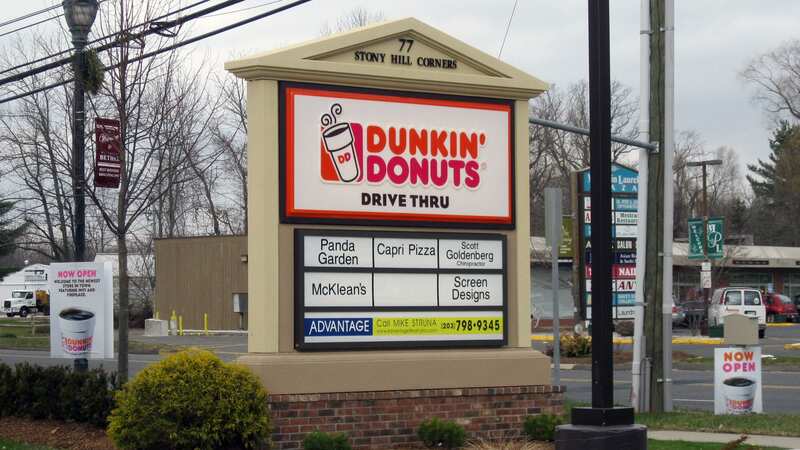 We offer our customers flag signs, corrugated plastic sign riders, or metal frames. Great for offices and gifts, our plaques can be completely customized. Choose its shape, style, color and any engraving. 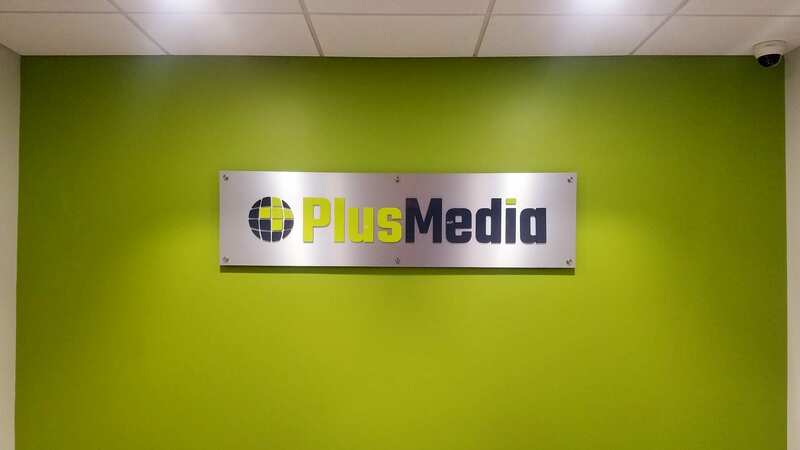 Transform the interior space of your business with one of our interior signs. Get started on your next project today, whether you need creative floor graphics for your restaurant, or a custom sign for boardroom doors, we can help! We offer our customers quality door signs that can be engraved. Choose from wooden, die-cut, or frosted signs. Help your clients navigate through your building with an informative interior directory. 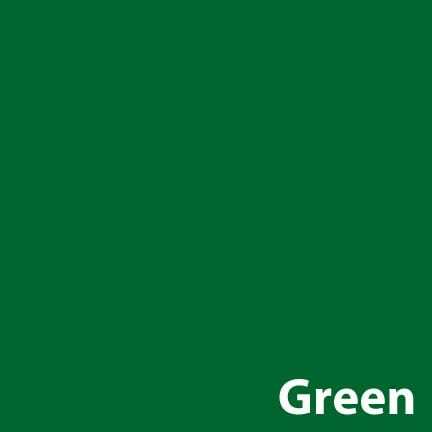 Choose from metal, plastic, or glass and have it installed either free-standing or wall-mounted. We can adhere a high-quality floor graphic to almost any smooth surface, including: carpets, hardwood floors, vinyl floors, and tile floors. All floor graphics are made with an anti-scratch coating. 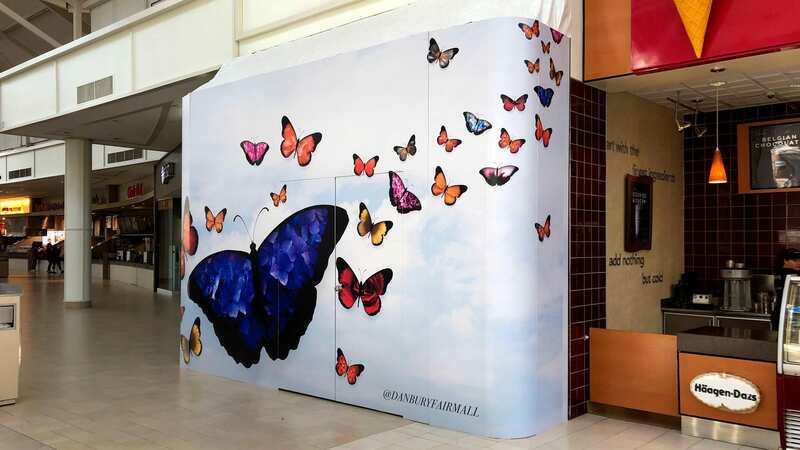 Interior wraps can be used for informational uses, or purely stylistic reasons. We use quality products and can adhere them to any flat wall, even working around obstacles like doors, windows, or fixtures. 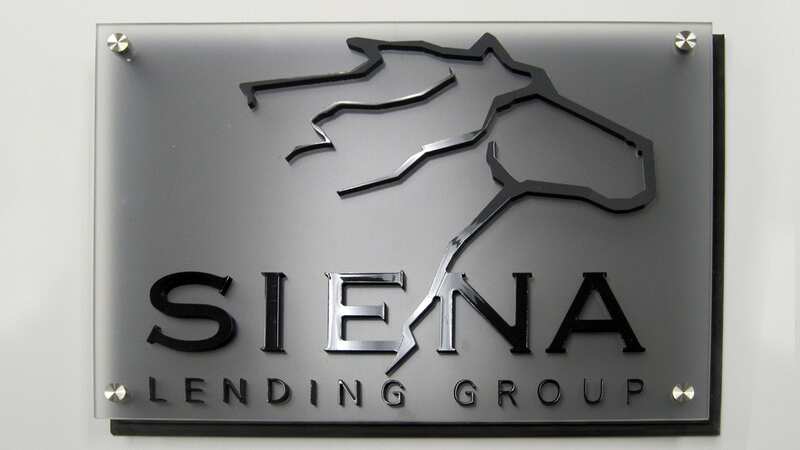 Choose from decals, foam, PVC, vinyl lettering, or acrylic interior wall signs here at Signarama. Let us help you transform your space with a completely customized sign. 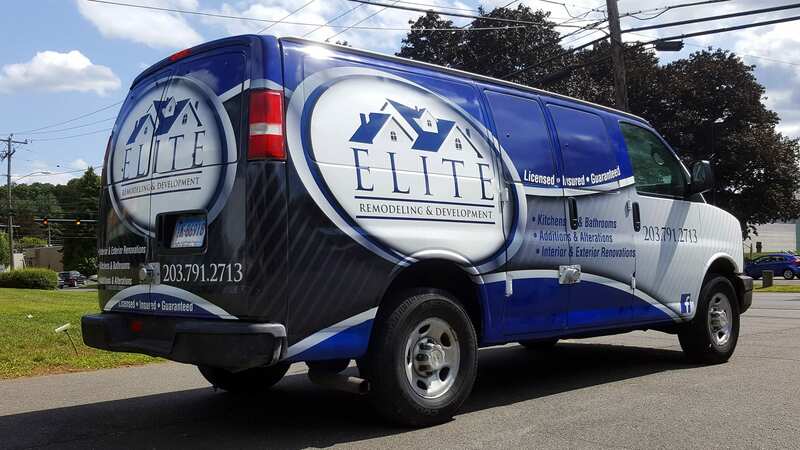 Our custom dimensional and vinyl lettering is an affordable option for your business. These styles can be used both indoors and outdoors and come in a variety of options to fit our many clients’ needs. 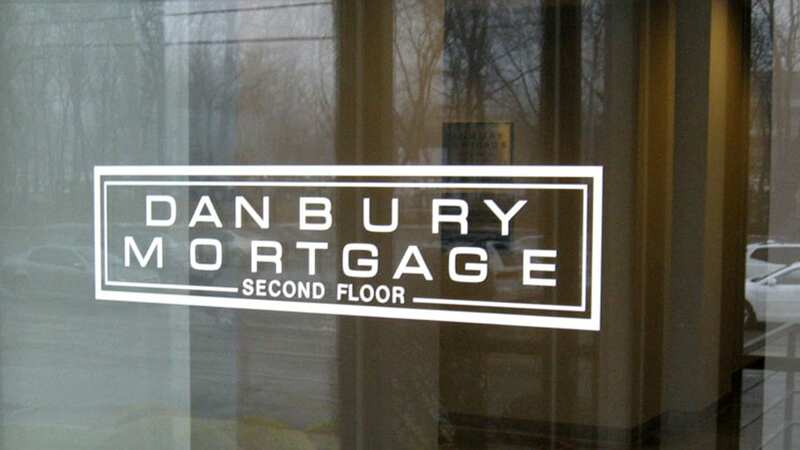 Our quality vinyl lettering can be used on both interior and exterior surfaces. Our designers can adhere them to most flat surfaces, like walls, doors, windows, and even vehicles. 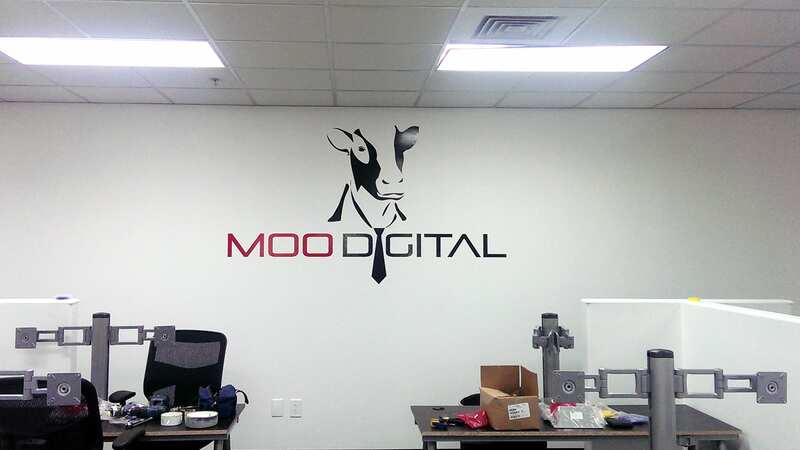 Vinyl lettering can be used to create something unique in a space, and can be large enough to cover an entire wall! 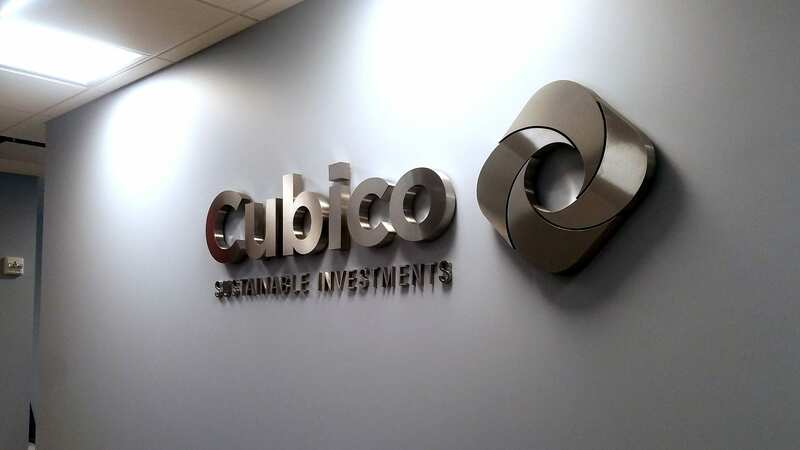 Showcase your logo with our customizable dimensional lettering. 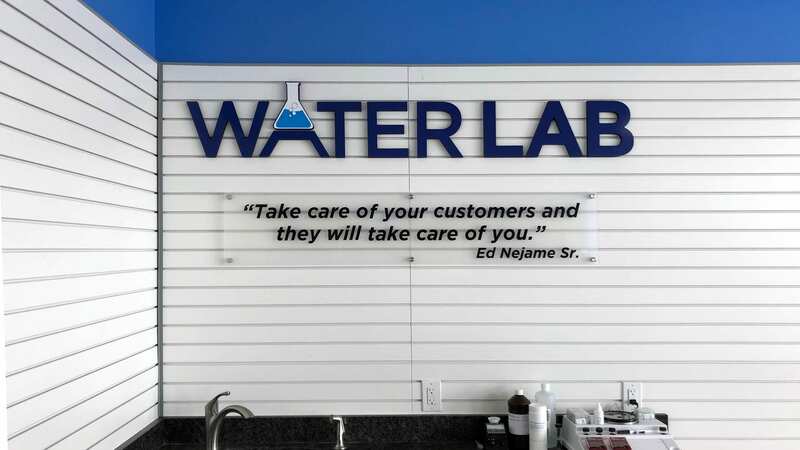 These signs can be used both indoors and outdoors, and are coated with a layer that resists chips, cracks, and fading. 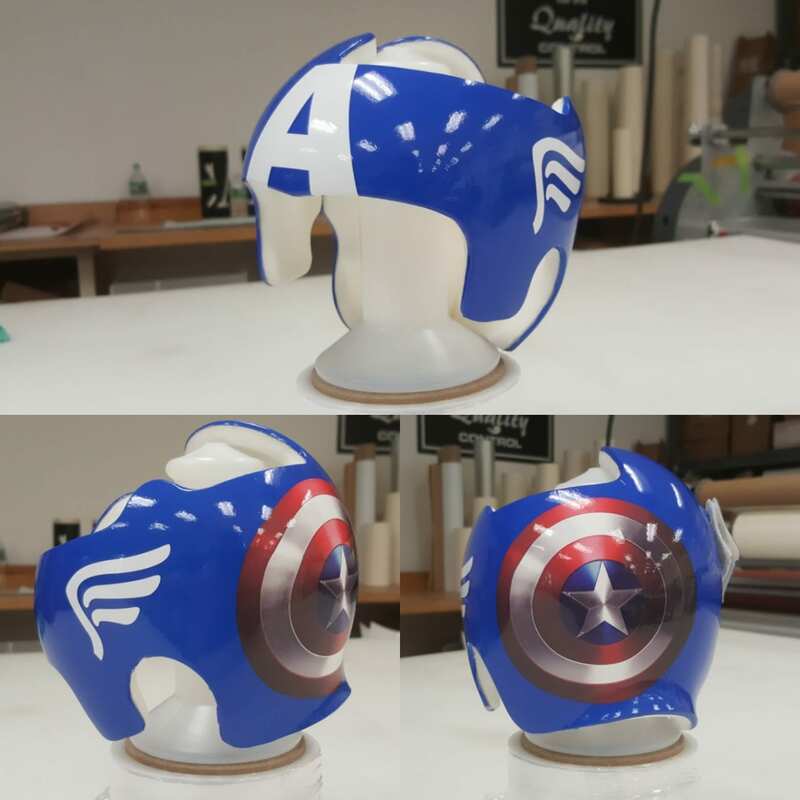 We offer customers a more affordable lightweight option as well that comes in either plastic or acrylic. 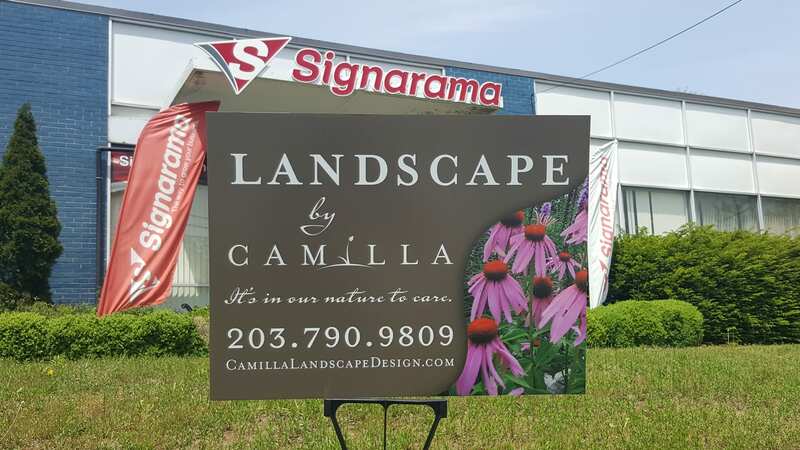 Draw in more business with an eye-catching sign from us here at Signarama. 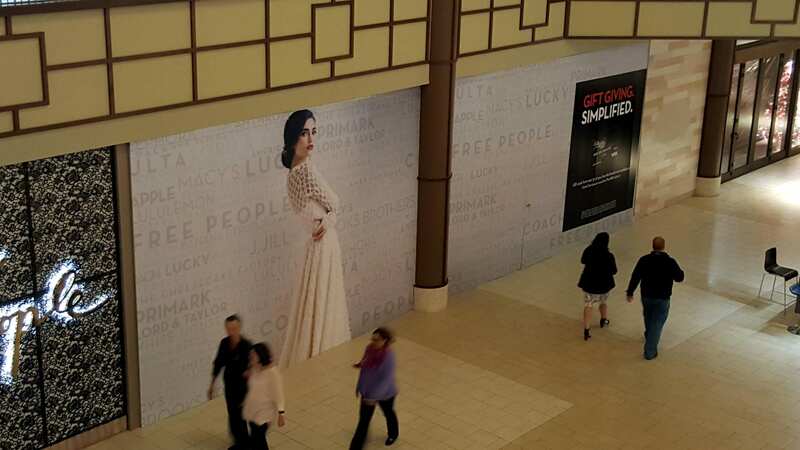 Signarama offers our customers much more than indoor and outdoor signs. 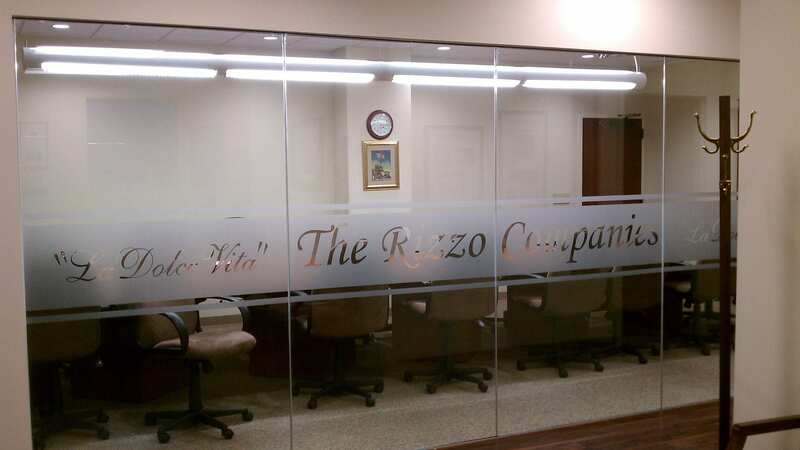 We can apply commercial frosted glass to your office, allowing an excellent option for permanent privacy. We also are happy to offer customers doc band wraps for your child’s protective gear. You can customize it to fit their personality and transforming the blank canvas into something special. 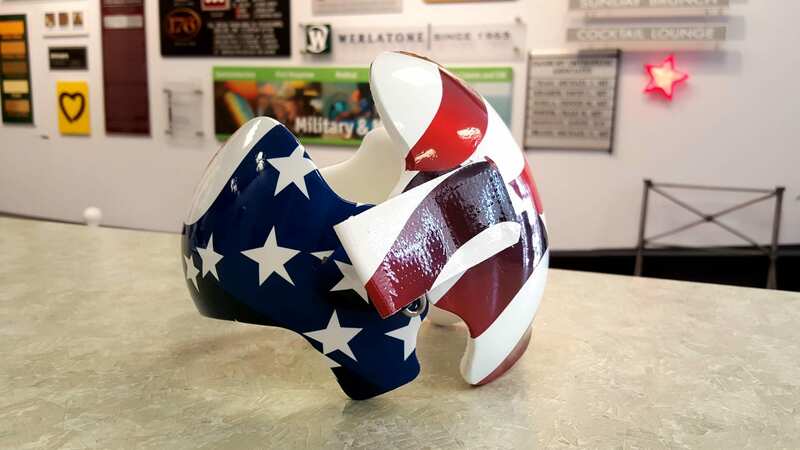 Your little ones protective gear can be completely transformed with our customizable doc band wraps. Choose from multiple colors and patterns or pick one of our default designs to get started, you can even add their name to the wrap too. We are happy to help families showcase their little ones personalities! 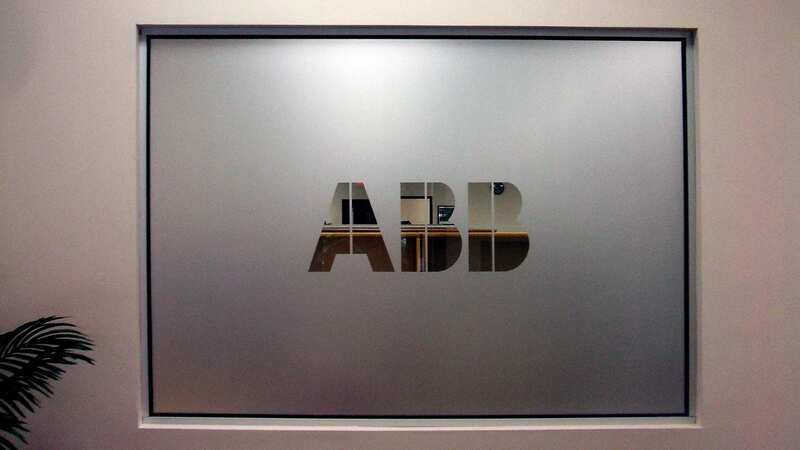 A beautiful addition to any office or business, our window frosting can be added to windows, walls, or doors and adds a certain element of design while creating privacy. Our expert designers will install this custom product with care, leaving your space with a fresh new look. 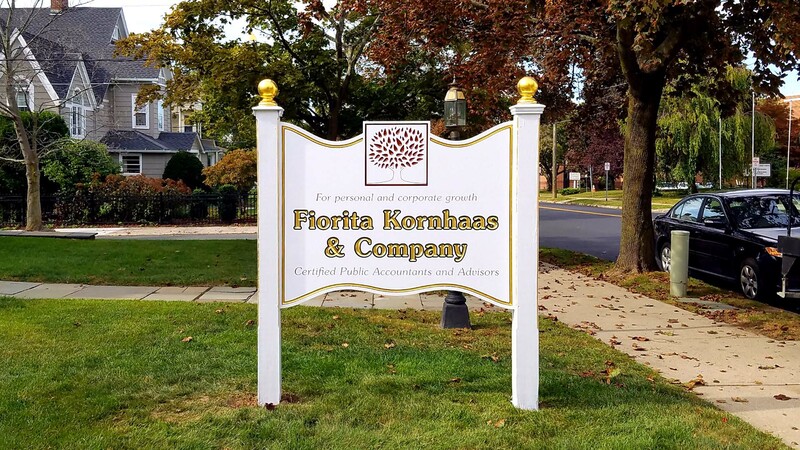 For anyone in the Fairfield County area that is in need of signs or lettering for corporate or personal use, reach out to us here at Signarama today! We have trained design experts here that can help map out any order and give you the freedom to design it to fit your style and brand.